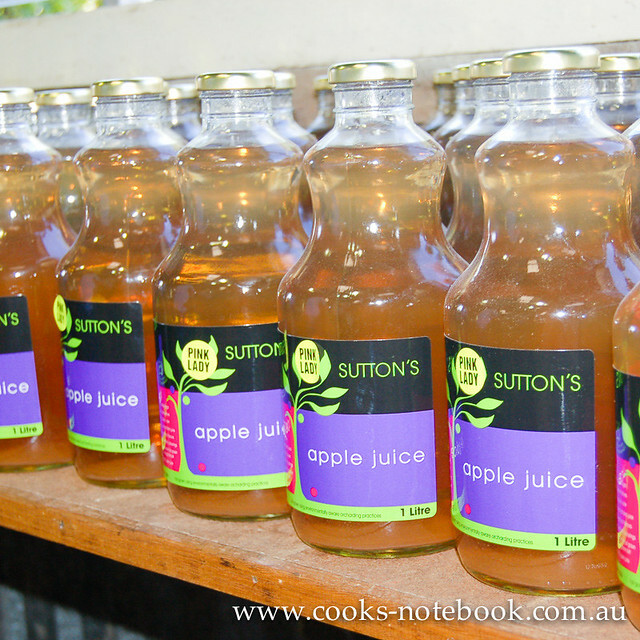 A visit to Stanthorpe in south east Queensland just isn’t the same without a visit to Sutton’s Farm. 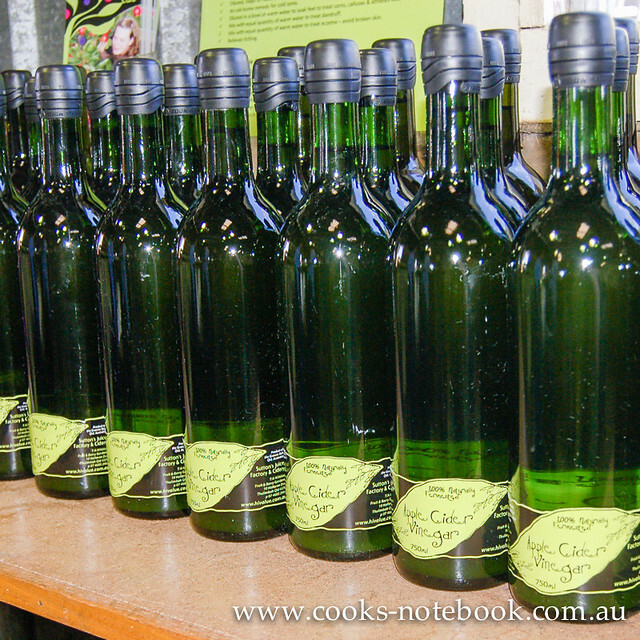 Located just north of Stanthorpe (almost opposite the Big Apple), David and Ros Sutton’s family run business has grown from a traditional apple orchard to a boutique business that makes juice, award winning cider, sauces, and my favourites, apple syrup, apple butter and apple cider vinegar (complete with the mother). David and Ros diversified into juice as Ros couldn’t bear that 70% of their apples were ending up on the production floor as they weren’t “perfect enough” for retail sale. 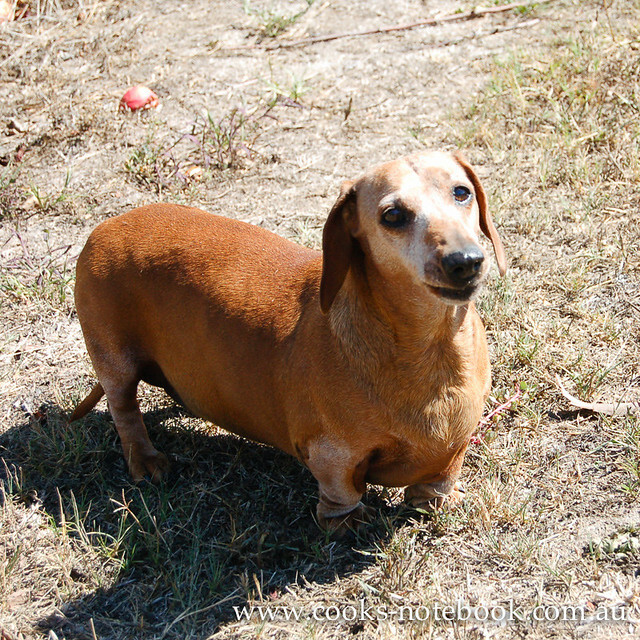 From there they moved into producing cider 14 years ago, becoming the first commercial cider makers in Queensland. Their cider has since won a number of awards, including the Grand Champion Trophy awarded to Sutton’s Dry Cider in 2012, at the inaugural Royal Queensland Food and Wine Show Cider Competition. I have to confess, I just don’t see the fuss about cider, but even I have enjoyed the tastings of Sutton’s ciders. I assume that is because it actually tastes like apples. Not like sugared lolly fizzy water with the fake apple flavour that so many mass produced ciders have. So even though they haven’t converted me, I have been known to drink an occasional glass of it. My favourite Sutton’s product is their apple butter. It’s gorgeous served with roast pork, or just spread on a crumpet. Another food I should really eat more of! Cider is now the fastest growing beverage in Australia, and to recognise this, Sutton’s are hosting Queensland’s first Cider Festival on Sunday 18 May. Tickets are $90 and include lunch (roast pork on the spit, pork and fennel sausages with Sutton’s divine apple sauce and chutney, and more locally grown food, and apple pie with spiced apple cider ice cream for dessert). There will also be tastings Sutton’s ciders and non-alcoholic apple juice. If you can’t make it to Stanthorpe next week for Sutton’s Cider Festival, make sure you visit another time. If only to taste one of the most amazing apple pies I’ve ever tasted (and served with Sutton’s infamous spiced apple cider ice cream). 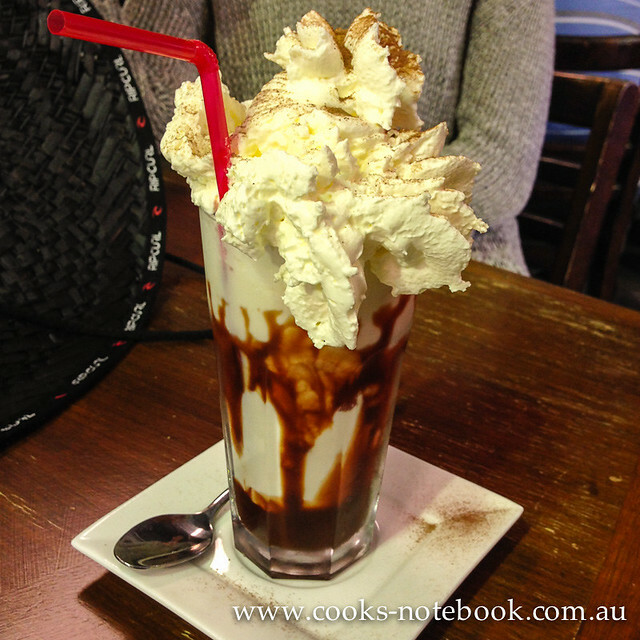 Their on-site Shed Cafe also serves a range of other sweet and savoury baked goods, salads, homemade soups (in winter), Merlo coffee and other beverages. Obviously while I was late for the tour, I wasn’t too late for pie. 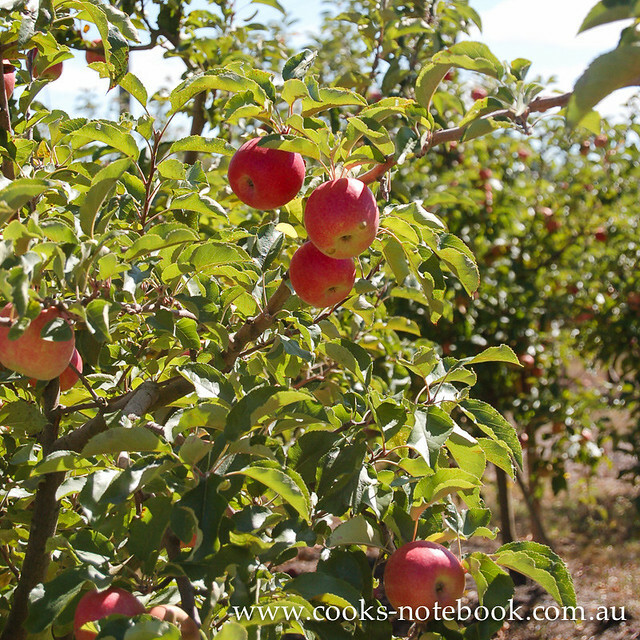 Sutton’s farm also offers apple picking when in season (this has now finished for 2014, check their website for 2015 dates). 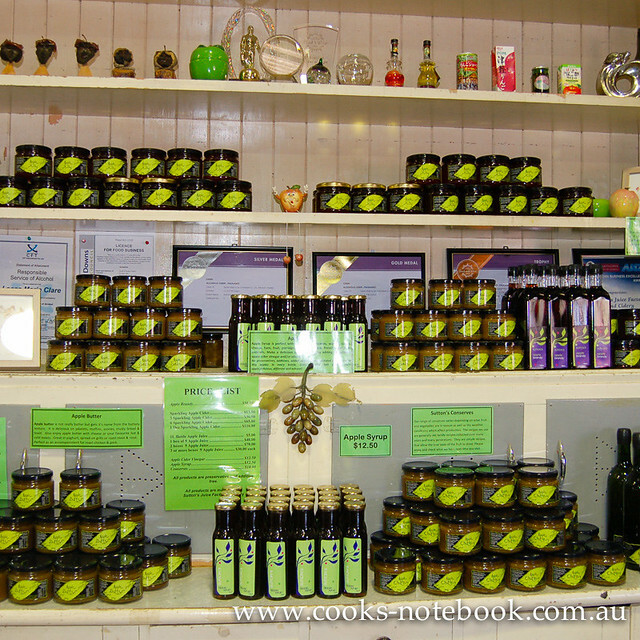 Have you been to Stanthorpe? 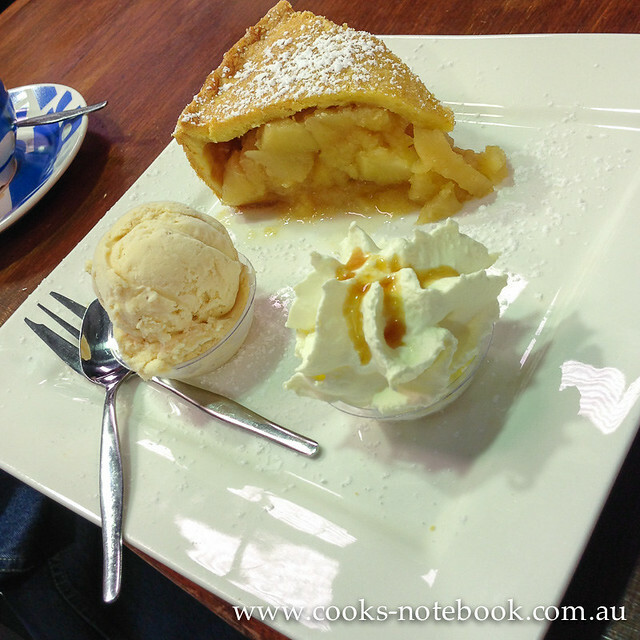 Did you go to Sutton’s and try their apple pie?? Disclaimer: This is not a paid or sponsored post, although David did give me a jar of apple syrup the last time I saw him when he was in Brisbane. 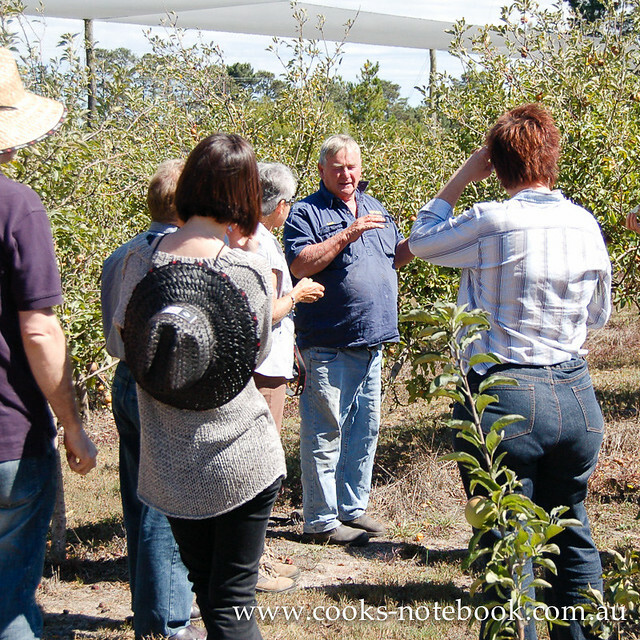 I’ve met David and Ros a few times over the last few years at a range of food events in Brisbane and Stanthorpe, I absolutely love their food and business philosophies, and I want to share that. My goodness, that pie looks amazing, and that butter sounds good too. I haven’t been to the Granite Belt in an age… time to convince hubby to do a weekend winter B&B jaunt? I think you’ll find Suttons is located just north of Stanthorpe @ Thulimbah.